Gripsweat - Rare Ohio Rockabilly 45 ~ Aundis Davis ~ Vetco ~ Hear ! 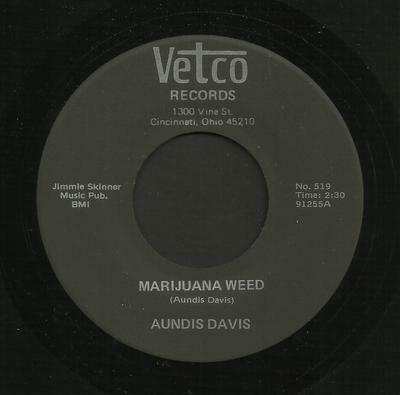 Rare Ohio Rockabilly 45 ~ Aundis Davis ~ Vetco ~ Hear ! Late 60's Cincinnati, Ohio rocker, QCA pressing! All records are original pressings unless otherwise noted.